I'm following a training intensive 5 days course for Oracle WebLogic. Some of exercises included stopping / starting Weblogic App server for security reasons Weblogic is designed to always propmpt for password. I remember similar behavior in Apache configured to use SSL certificate. Whether a new Weblogic server is configured and a frequent restart of server is needed having to write the password each and everyime is mostly annoying. Thanksfully there is a file called boot.properties in which username / password can be hardcoded and later red on Weblogic start. As boot.properties contains security credentials its very important to keep the file as secured as possible. boot.properties files can be set-up for each different configured separate Weblogic server instance. Depending on how Oracle Weblogic is configured its possible values in boot.properties (username / password) to be encrypted after first server boot-up. Lastpass is a handy plugin allowing you to save and manage website passwords. As with other password manager programs, it is necessery to set one Master password which allows you to view all other website login passwords. 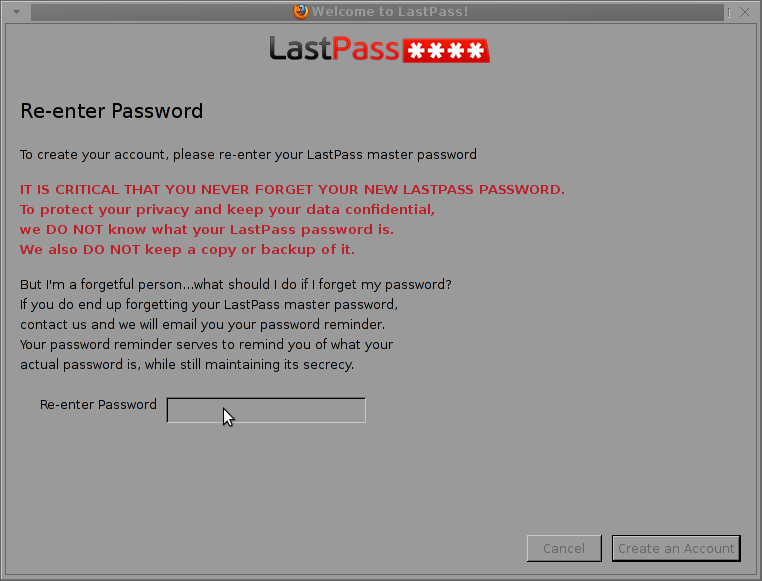 Of course for people very concerned of security LastPass might not be the best choice, as it can reveal a possible malicious person all passwords by stealing just one. Besides that lastpass plugin sends and stores password on lastpass.com, so anyone who might hack into their server will get your account details and password. 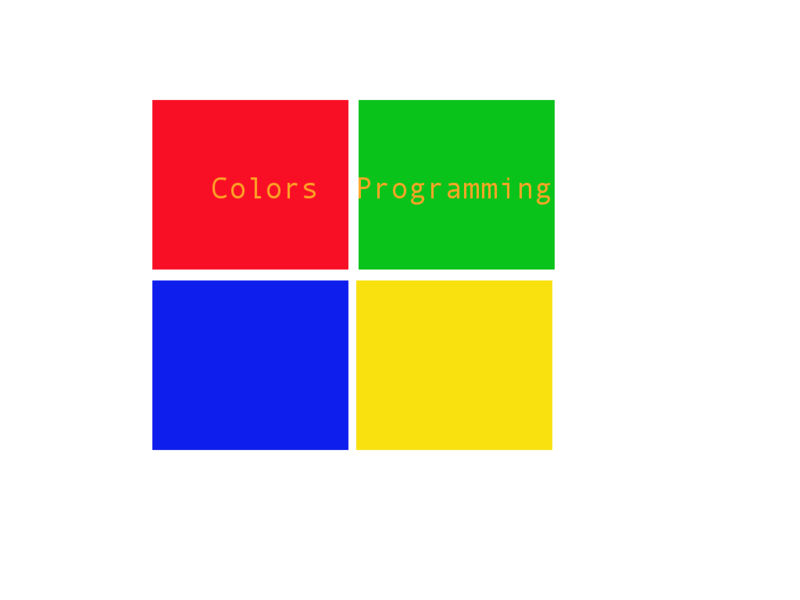 Anyways, still for the casual web user which is very lazy and less security concerned it nice. 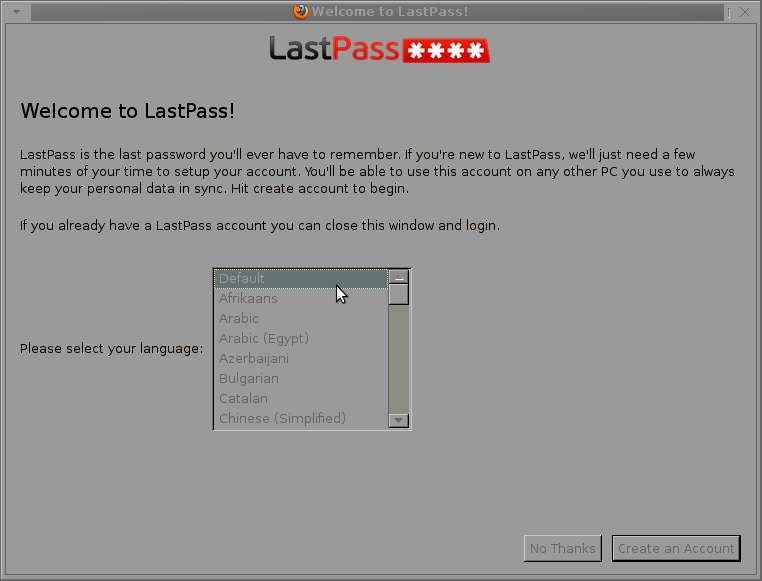 After the usual browser install the plugin loads up, it is necessery to create account with lastpass.com and tick the Agreement to send encrypted password data to LastPass. 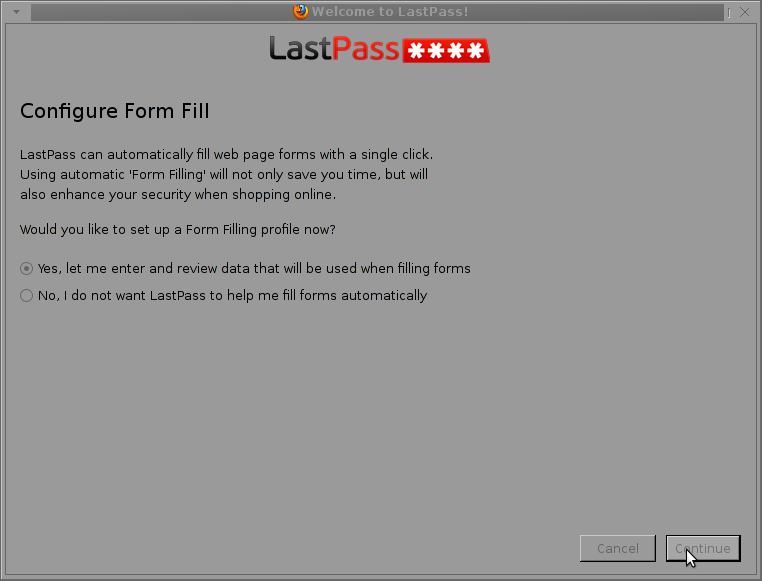 Once it is configured interesting feature of LastPass is automatic filling up of Forms. You know how much often it is nowdays to create new registration with websites. If you have to create new registrations too frequently and fill up the same data again and again you start to get very irritated. Here LastPass will be mostly helpful as it can fill up around web-forms automatically with a predefined Form data (Fork Skele). After filling up all data, you will be redirected and automatically logged into LastPass's website Vault. 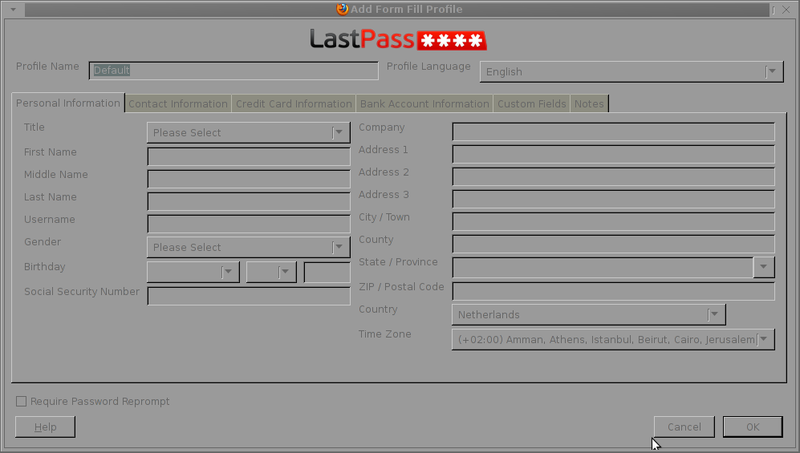 This is a webplace, giving you access to see and manage all password via lastpass.com. You can put different identities inside have numerous pre-filled forms to be used as a samples for automatic form filling, add notes, create groups etcetera. The plugin's idea is good and useful and as I said most people might have no objections using it still I don't like fact that a 3rd party site (Lastpass.com) stores my data is very so though it was fun to test it I doubt to seriously use it in future. Here is how Easter is being celebrated in Lebanon Mall. I needed a handy way to recover some old data of an expired domain containing a website, with some really imprtant texts. The domains has expired before one year and it was not renewed for the reason that it’s holder was not aware his website was gone. In the meantime somebody registered this domain as a way to generate ads profit from it the website was receiving about 500 to 1000 visitors per day. Now I have the task to recover this website permanently lost from the internet data. I was not able to retrieve anything from the old domain name be contained via google cache, yahoo cache, bing etc. It appears most of the search engines store a cached version of a crawled website for only 34 months. I’ve found also a search engine gigablast which was claimed to store crawled website data for 1 year, but unfortunately gigablast contained not any version of the website I was looking for.Luckily (thanks God) after a bit of head-banging there I found a website that helped me retrieve at least some parts from the old lost website. Another handy feature wayback machine provides is checking out how certain websites looked like a couple of years before, let’s say you want to go back in the past and see how yahoo’s website looked like 2 years ago.